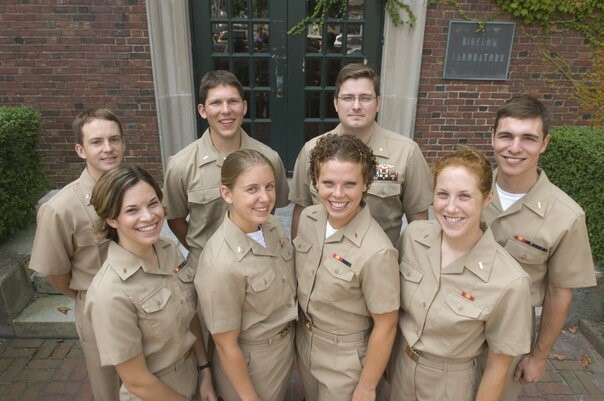 Parra-Orlandoni ’15 (front row, second from the right) with her MIT Woods Hole Oceanographic Institute Joint Program classmates. 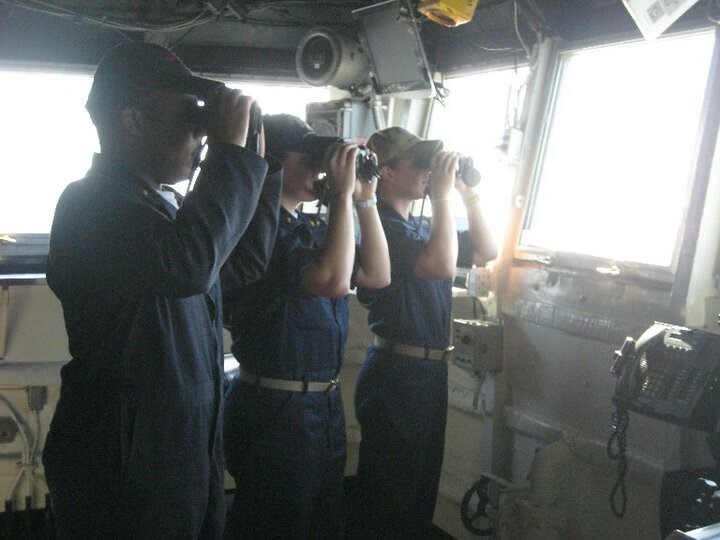 Parra-Orlandoni ’15 on watch with the crew of the USS Dubuque. 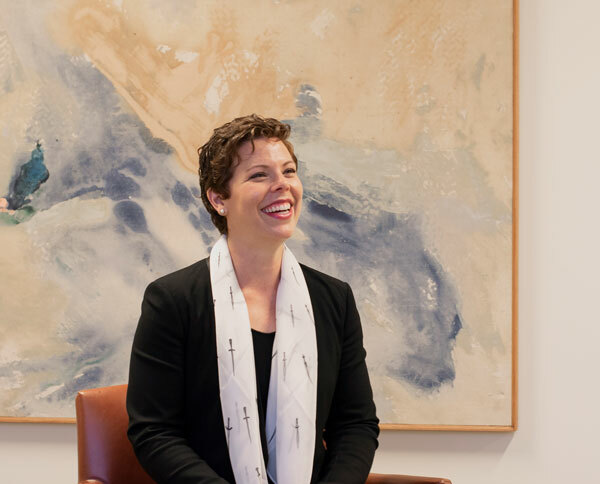 Serving as a naval officer in the US Navy breaks down into two parts, she explains, distinct but intertwined: operations on one hand, and personnel and equipment management on the other. Parra-Orlandoni’s personnel- and equipment-related duties on the USS Germantown were focused on topside systems and heavy machinery operations, oversight, and maintenance. Operationally, she was responsible for leading the on-duty watch team in the safe navigation and operation of the ship, and completing the assigned mission or task at hand. “Watch teams are on duty for five-to-six-hour blocks each day, with daily rotating time blocks. So you don’t get very good sleep,” she says with a laugh. Parra-Orlandoni’s homecoming to San Diego after her service on the USS Dubuque. 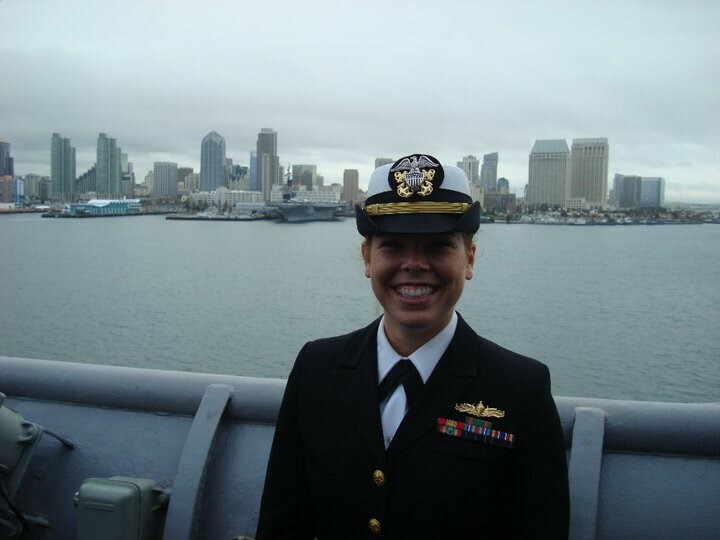 After her time on the USS Germantown, Parra-Orlandoni was stationed on the USS Dubuque, where she served as Assistant Operations Officer on the ship’s sunset cruise. When she returned, her six-year service was complete, and she began to think about what to do next. She considered attending business school to earn a PhD in behavioral economics, but ultimately she decided to attend Harvard Law School.